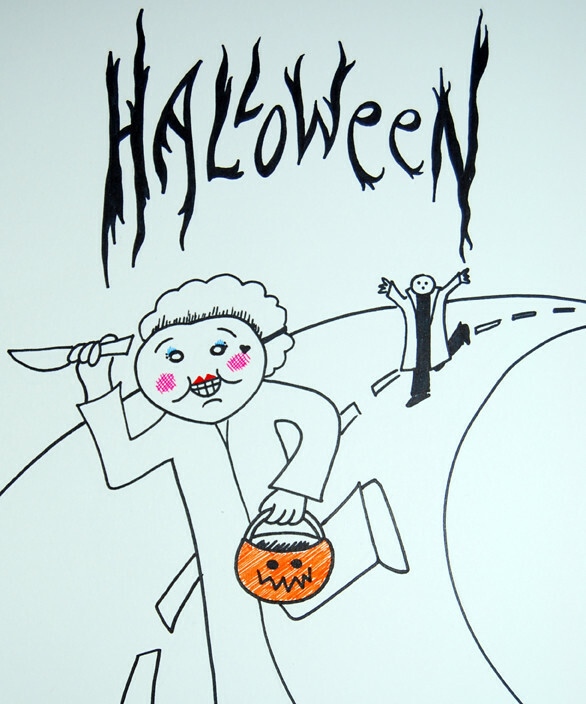 You are a film poster designer and have been asked to put together a poster for a new film called Halloween - Not much info was included in the design brief though. It can be set in any place, any time and is yet to be cast - you can choose the actors and director. You have until October 30th. Results will be posted on Halloween. From badly drawn mayhem to super slick graphic design, all entries are welcome. There is no actual physical prize. It is all done for the love of film. All work is the copyright of the artist/designer, but by entering you do give permission for me to post it on the Live for Films site. My 'Super Low Budget' Entry! ...or should I say, THE WITCHING HOUR!